Silent Sky Project#36 September 17th 2009, 5.18 – 5.48 pm, 20 participants, Liverpool, England. 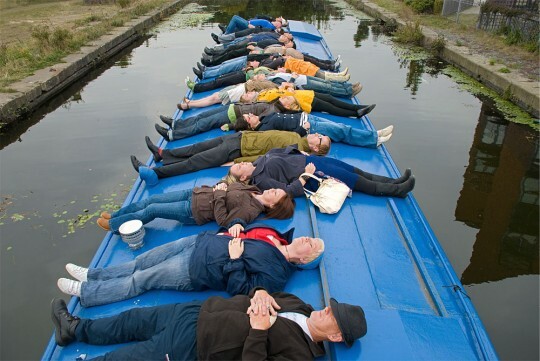 People from the neighbourhood,Bootle-Merseyside came together to look at the sky in silence. The group is lying on the roof of a traditional canal boat. 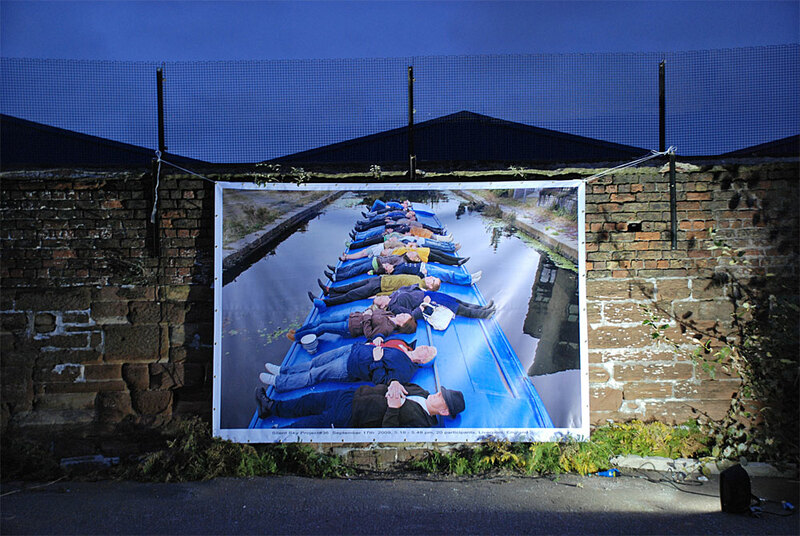 The theme of the entire artproject is the regeneration of the canal area in an old industrial part of Liverpool. Thanks to: the crew of the canal boat Pride of Sefton, the team from UP Projects. Liverpool Biennial -Urbanism 09, England. 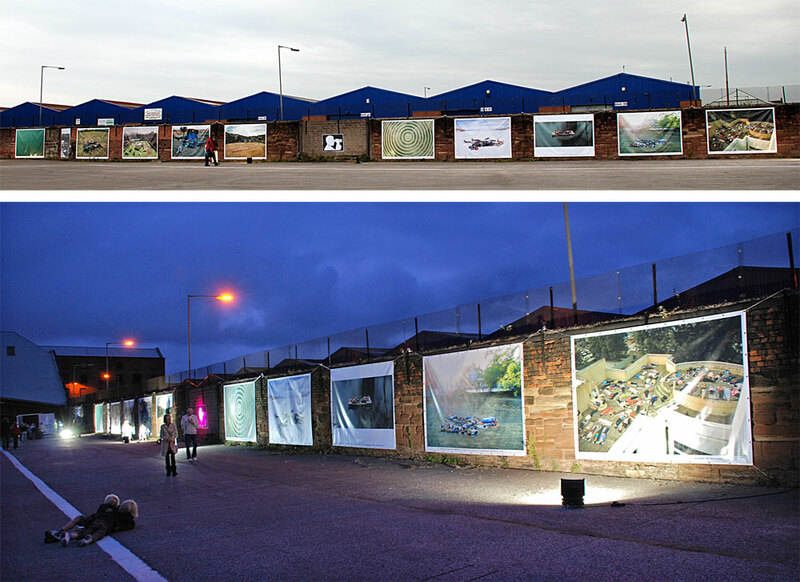 A selection of large photo’s from the Silent Sky Project# is exhibited at the Liverpool Biennial -Urbanism 09. One day after the Silent Sky Project#36 action happened, the photo was printed became part of the show in Liverpool. Each photo is 350×245 cm and printed on PVC. Curated & organised by: Emma Underhill – UP Projects (Londen) & Liverpool Biennial – Urbanism 09.